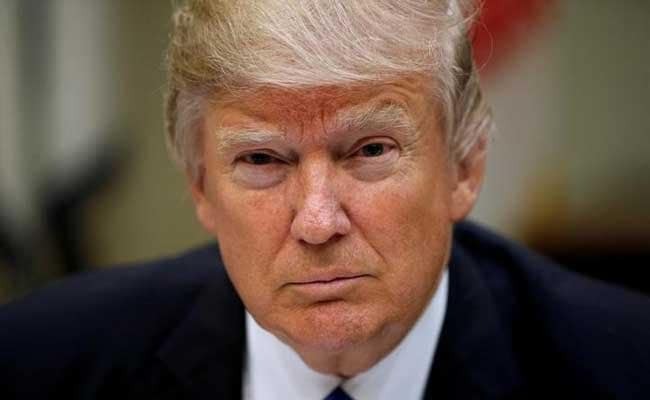 President Donald Trump complained on Thursday that US ally Saudi Arabia was not treating the United States fairly and Washington was losing a "tremendous amount of money" defending the kingdom. Trump's criticism of Riyadh was a return to his 2016 election campaign rhetoric when he accused the kingdom of not pulling its weight in paying for the US security umbrella. The world's top oil exporter and its biggest consumer have enjoyed close economic ties for decades, with US firms building much of the infrastructure of the modern Saudi state after its oil boom in the 1970s. Saudi officials could not immediately be reached for comment on Trump's latest comments. But Foreign Minister Adel al-Jubeir rejected similar comments from Trump during his election campaign, telling CNN during a visit to Washington last July that the Islamic kingdom "carries its own weight" as an ally. Saudi Arabia's powerful deputy crown prince Mohammed bin Salman met with Trump last month in a meeting that was hailed by a senior Saudi adviser as a "historical turning point" in relations. The talks appeared to signal a meeting of minds on many issues, including their shared view that Iran posed a regional security threat. Asked about the fight against ISIS, which Saudi Arabia and other US allies are confronting as a coalition, Trump said the militant group had to be defeated. Trump brushed aside a question of whether he might use a possible trip to Israel to declare U.S. recognition of the entire city of Jerusalem as Israel's capital, a reversal of longstanding U.S. foreign policy likely to draw international condemnation. "Ask me in a month on that," he said, without elaborating. If Trump ties an Israel visit to next month's Brussels trip, it would be around the time Israelis are celebrating the 50th anniversary of the reunification of Jerusalem, when Israel captured Arab East Jerusalem in the 1967 Middle East war. Successive US administrations as well as the international community have not recognized Israel's annexation of the eastern part of the city, and the future status of Jerusalem remains one of the thorniest issues in the Israeli-Palestinian dispute.